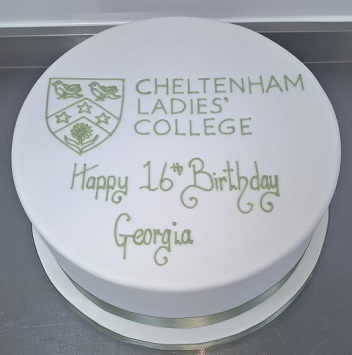 Contemporary Cake Designs have created a bespoke 16th Birthday Cake. Contemporary Cake Designs were commissioned to create a bespoke 16th Birthday Cake remotely – which could be an issue. But as we are specialist cake creators we have amassed many years of expertise in listening to our clients and then baking a dream cake to their individual specification. Like the 16th Birthday Cake above. The cake and your service were truly exceptional! Everybody was really happy and the design that you produced was perfect. It is always a risk for me ordering something remotely and from somebody that you have never met, but you delivered beyond my expectations, I even got to try a piece of the cake and I was very impressed. I would like to thank you and I would absolutely recommend your services to any of my friends in Cheltenham. Have a great Christmas and thank you.